I wanted to listen to HF bands using my RTLSDR USB dongle. Since the RTLSDR dongle can only receive from around 64MHz upwards I needed an up-converter which converts the HF band (0-50MHz) to a higher frequency I can receive with my dongle. The converter will work up to about 70MHz. Many of the available converters seemed quite pricey and not too well designed (no filtering on the local oscillator etc.) so I decided to make my own. The converter is fairly simple, it consists of an elliptic low-pass filter on the input, a local oscillator with a band-passfilter, a mixer and a Butterworth band-pass filter on the output. 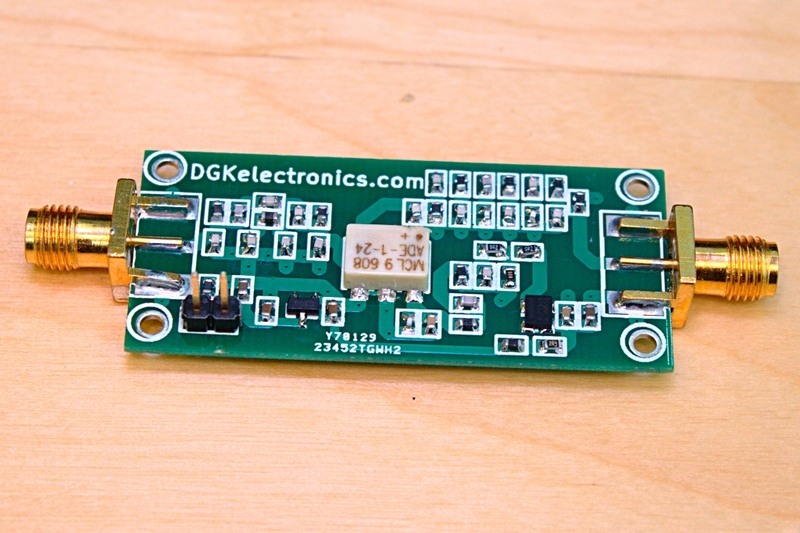 The converter takes in a signal in the 0-50MHz range and mixes it with the 100MHz local oscillator, yielding a 100-150MHz signal you can receive with an RTLSDR dongle. If you’re wondering why the signal is going in to the “IF out” pin of the mixer; it’s not a mistake. This is a small trick you can use to extend the frequency response lower when you are up-converting. The mixer I used is an ADE-1 from Mini-circuits and the local oscillator is an ASEM series oscillator from Abracon (100MHz +-50ppm model). 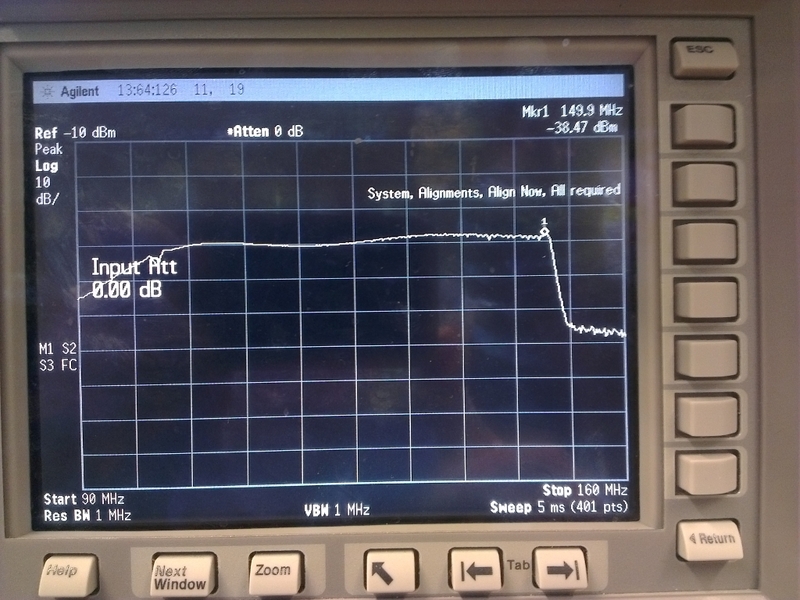 This equates to around 9dB conversion loss (typical for a ring diode mixer) with around few dB ripple on the passband so I’m pretty happy with it! There is about -51dBm of LO leak on the output which is also quite low. I did some testing by unwinding a few meters of wire from a roll and used that as an antenna and this worked really well. Lots of signals to listen to! Edit: All converters have been sold. I possibly like to build one of the converters myself. 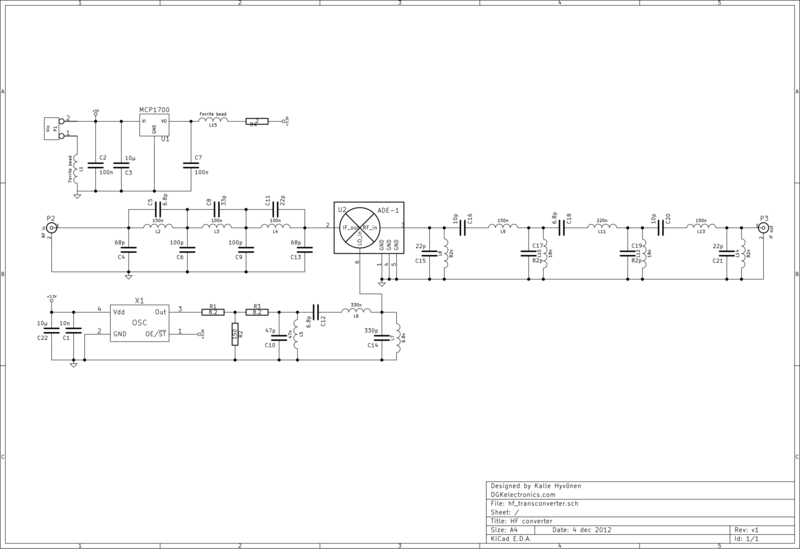 Could you publish (or send me) the pcb layout and a part list (part values, package, maybe even order-numbers?)? I quite like your simple and small design! Please, could send me PCB layout ? Hello, do you still have these for sale at 35€ including shipping, fully assembled, without case? Have you made any update since this post? Please let me know how I can purchase. Hello Mario! Sorry but I have sold all my converters already. I have just bought a RTL-SDR USB dongle and was looking for an up converter when I found this page. 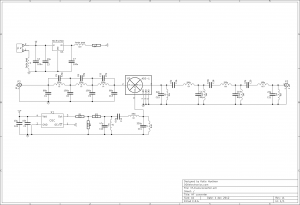 I am particularly attracted to your design because you filter the oscillator as well as the input and output. I see that your original post was a year ago and I wonder whether you have any of the PCBs left or even complete kits. Please email me when it is convenient. I’m interested in your hf upconverter. Can you tell me details about order to Spain? Thank you. why 100$ ? why not 200$ ? I am also intersted in one piece. How can we make the deal? 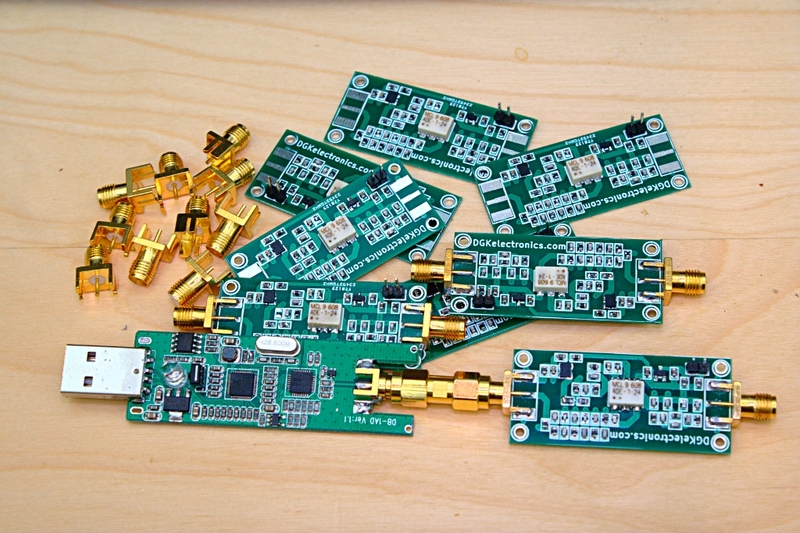 I am interested in your HF converter for SDR and I would like to buy assemled one. How to order and how much does is cost. I’m new to exploring the signal environment with my dongle. Currently I’m using gqrx on Linux using using some lame antenna for broadcast frequencies. Do you have HF convertes still “in stock”? I’m interested to buy one. 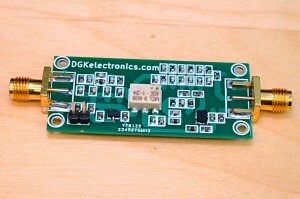 Also I’m interested either the drawings of your Discone antenna or the “assemble yourself” (http://www.dgkelectronics.com/discone-antenna-for-rtlsdr/). As you see, I’m totally out of conversation when talking about deep technical thingies, but still wanting to explore things. Do you have any upconverters for the rtlsdr dongles and if so how much? I had not considered the input low pass filter in your design. It will attenuate the FM band signals from the antenna and that will be sufficient in most cases. Good shielding should fix the extreme cases where FM signals get into the “IF”. I needed to think first, before replying to your blog. I should have added. I really like the design and would like to get a board, if the Oscillator can be changed . Hey Keith! I did think about this but it seemed like people weren’t having problems with using a 100MHz oscillator so I decided to use one as well. 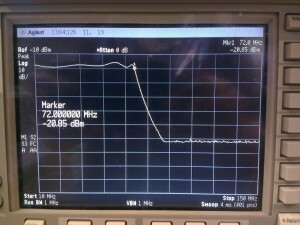 You can get the ASEM-series oscillators up to 150MHz so swapping it for a higher frequency one is easy. You just need to recalculate the band pass filter for the oscillator. In a lot of places, it would be better to have a higher frequency oscillator, say 120MHz so the output avoids the FM broadcast band. Alternatively an FM band stop filter might help. I think the higher frequency is easier. This looks like just the thing for a complete HF beginner like me, thank you! Have you any left, please? I am in the UK. I’m interested inpurchasing your converter. Please get back to me through email. Do you still have the HF upconverters? Could you email me the detail how to get one? Like to of these a converter accepts payment by paypal SDR’m from Brazil and here is still a novelty for many. Hello, i am from Indonesia. Do you have some for sale and what’s the price for it including post & package to Indonesia? Please let me know if still not availability of your UP_converter. I’m waiting for some time because even there in the market are msome other units I like very much yours. So if there is the oportunity to get 3 units, please, let me know. Thank you very much in advance. Greetings from Basque Country. Do you still have the upconverters? Could you email me the detail how to get one, please? Thanks. Info on your HF upconverter for Canada? Thanks! I do still have the filters for sale, if so how much delivered to the UK. Looking around for some infos concerning to an up_converter for my RTLSDR dongle I found you. Still having this converters (at least one of them) ?. If that’s OK, please, let me know how much money is it and what to do for sending you the money (Bank account, PyPal, etc.). I thank you very much in advance and, please, excuse me but I can’t do better with my “Spanglish” HI HI. do you have still some for sale and whats the price for it including post & package to Germany? Do you have any of the kits available for sale? Please send pricing if available. From Portugal and I’ interesed in one of this sdr converter,do you sell to portugal if so, how much ,include postal. I’m interested in this converter if available? I am interested too. Please give me details. I’m interested in your hf converter. Can you give me price and shipping for Italy? Thank you. We have an idea of the price with shipping cost for France? I’m finally interested for an order of one or two converters. I would like to know what manner I can pay you. Credit card, check, or other. For information I live in France in Paris. I am interested in one of the converters as well, thanks and 73. Are there any converters still available.Thank you. Really nice design.Do you have any available .. If these are available to buy please can you email detail. Did you test the low end response? I sent you an e-mail. 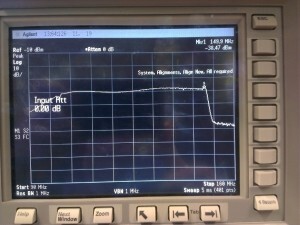 Am interested in this HF converter. I especially like the fact that you used a diode ring mixer instead of the NE602 device that is used for the mixer in most of the other similar designs I have seen. Replied to you via email! 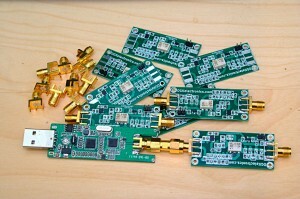 Do you have and of the SDR HF Convertors still available? hello and happy new year from France ! what’s the price in euro of this hf converter please ? Hello! I have sold them for 35€ including shipping, fully assembled, without case. I am interested in a HF converter for my RTL2832 dongle. After reading the latest edition of QST I am interested in setting up SDR for the first time and trying it out. Will your converter do what the article says without me having to make the converter for the amateur bands? Will it cover 160-6 meters with a Newsky TV28T USB DVB–T & RTL-SDR Receiver? If it will work then I am interested in purchasing one from you. Happy New Year and thanks for your reply. Hey David! My converter should work just fine with any SDR-radio (or any radio for that matter). It will cover about 0.5-70MHz (most likely even lower than 0.5MHz, I will measure this soon) so it will work just fine on the the 6-160 meters range. 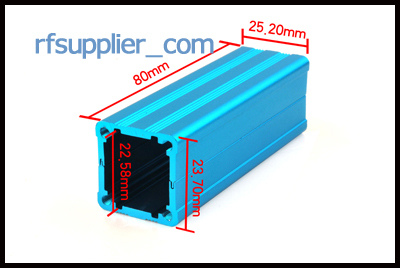 Hi, I’m interested in one of your Hf converters, I wonder if you still have, and what is your price to send it to Spain. Season Greetings and thanks in advance. Hello, I’m also interested in one of your smart looking converters, do you still have them? Do you have any of these left? Shipping to the UK. Hi, I am interested in one of your Hf converters. How much to purchase one please. I replied to you via email! Interested in one of these as well as your new power meter. Great projects! Sure, I have some extras. Replied to you via email! All arrived safely in time for Christmas. Works like a dream.